The optimized tread design helps you stay in control on snow-covered roads with excellent grip especially when cornering. The wider contact area accomplishes shorter braking distances on snow. Exceptional wintertime traction is guaranteed! 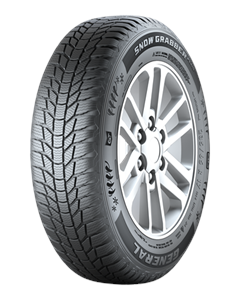 The SNOW GRABBER PLUS utilises a robust structure concept that adds strength and rigidity to the tyre. The tread structure improves stability when the vehicle is loaded heavily. Ultra high-strength steel belts achieve exceptional penetration resistance for confident stability during your winter adventure. The computer-optimized pattern design lets you gather more miles thanks to minimized wear-causing distortion. Benefit from the extended tread life that lets you enjoy extra miles!